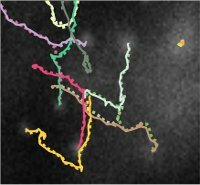 (2019-04) Our ARC Linkage grant proposal with Seeing Machines has been awarded. Congratulations to Dragomir Neshev and team. 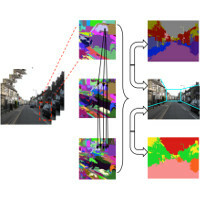 (2019-02) We have a paper accepted to CVPR. Congratulations to Dylan. 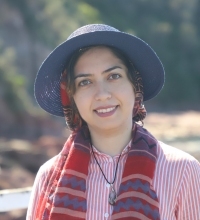 (2019-01) Welcome to our new ACRV Research Fellows Fatemeh Saleh, Thalaiyasingam Ajanthan, Xin Yu and Yon Ng. (2018-12) I will be teaching Advanced Topics in Machine Learning (COMP4680/COMP8650) next semester. Topics will include convex optimisation and deep learning. (2018-09) We have a paper accepted to PAMI. Congratulations to Rodrigo. (2018-09) We have a paper accepted to NeurIPS. Congratulations to Peter. 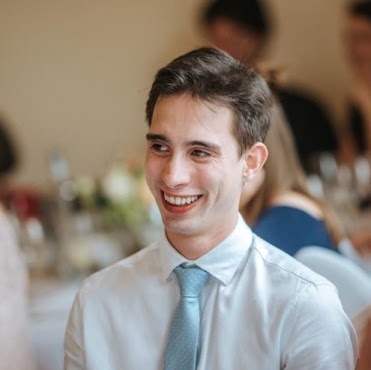 (2018-08) Dylan Campbell joined the Australian Centre for Robotic Vision as a Research Fellow today. Welcome Dylan! (2018-08) We have a paper accepted to IJCV. Congratulations to Anoop. (2018-07) I am the new convenor for the BAC(Honours) and BAC(R&D) degrees. Come to my office hours for advice. (2018-06) I will be teaching Advanced Topics in Statistical Machine Learning (COMP4680/COMP8650) next semester. Topics will include convex optimisation and deep learning. 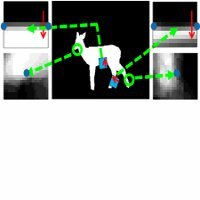 (2018-05) We have up to seven postdoc positions available in robotic and computer vision (click for details and to apply). (2018-04) I will be back at ANU fulltime from 1 May after having spent 14 months working on projects at Amazon. 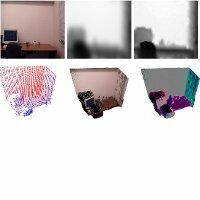 (2018-02) We have four papers accepted to CVPR 2018. Congratulations to Jue, Peter and Anoop. (2018-01) We have a paper accepted to WACV 2018. Congratulations to Rodrigo. (2017-09) We are one of seven teams to be awarded a Facebook ParlAI Research Award. Congratulations to Peter, Qi, Damien, Niko and Anton. (2017-09) We have a paper accepted to DICTA 2017. Congratulations to undergrads Sam and Mike. 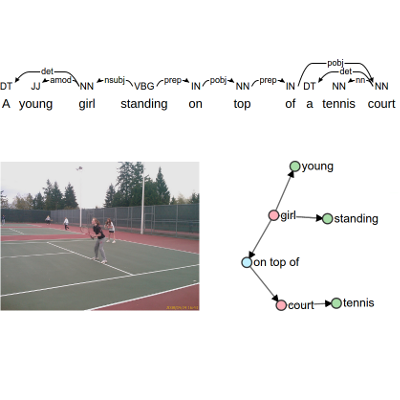 (2017-07) We have a paper accepted to EMNLP 2017. Congratulations to Peter. 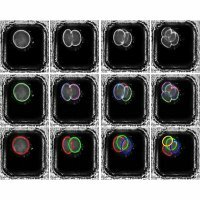 (2017-06) We have papers accepted to PAMI and IJCV. Congratulations to Fatemehsadat and Basura. 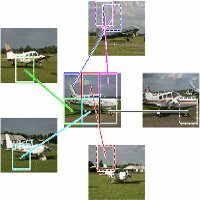 (2017-02) We have three papers accepted to CVPR 2017. Congratulations to Rodrigo, Anoop and Basura. (2016-12) We have a paper accepted to WACV 2017. Congratulations to Anoop and Piotr. (2016-11) I will be on leave from ANU, starting late Novmeber 2016, to work on a project at Amazon. (2016-10) I will be speaking on "Advances in Visual Perception" at the Huawei Asia-Pacific Innovation Day in Sydney on 2 November 2016. (2016-09) We have a paper accepted to DICTA 2016. Congratulations to Edison. 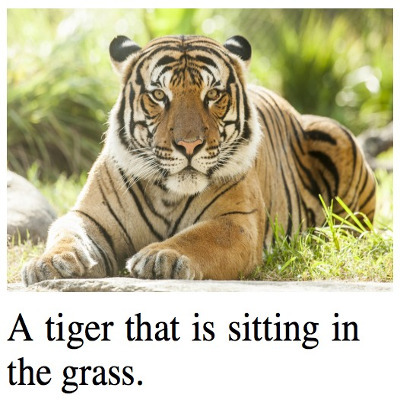 (2016-08) The project page for our paper "SPICE: Semantic Propositional Image Caption Evaluation" is now up. 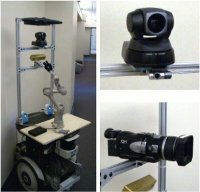 (2016-07) ACRV@ANU has five PhD scholarships available for research in robotic vision commencing 2017. 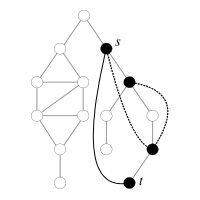 (2016-07) We have two papers accepted to ECCV 2016. Congratulations to Peter and Fatemeh. 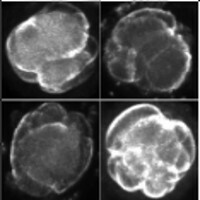 (2016-07) We have a paper accepted to Bioimage Computing at ECCV 2016. Congratulations to Aisha. 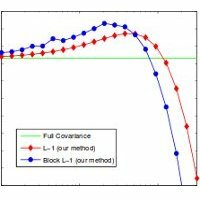 (2016-04) We have a paper accepted to ICML 2016. Congratulations to Basura. (2016-04) Photos from RVSS 2016 are now online. Thanks to all participants, speakers and organisers. (2016-03) We have two papers accepted to CVPR 2016. Congratulations to Basura and our colleagues at Oxford. (2016-02) We are running another Robotic Vision Summer School (RVSS) in April 2016. Click the link for details and registration. (2016-01) We have a paper accepted to ISBI 2016. Congratulations to Aisha. (2015-10) Our Large Infrastructure, Equipment & Facilities (LIEF) grant was successful. Congratulations to Ian and team. 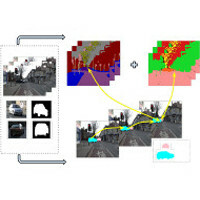 (2015-09) Release 1.9 of Darwin, our software framework for machine learning and computer vision, is now available. (2015-09) We have a paper accepted to ICCV 2015. Congratulations to Trung. 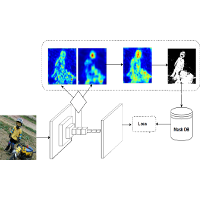 (2015-07) We have a paper accepted to 6th International Workshop on Machine Learning in Medical Imaging (MLMI 2015). Congratulations to Aisha. (2015-07) Workshops for the 28th Australasian Joint Conference on AI, 2015 have been announced. (2015-06) The video for my MLSS 2015 talk on structured prediction is now available online. 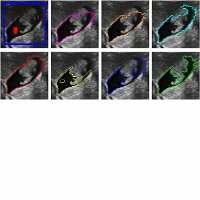 (2015-05) Our CVIU special issue Generative Models in Computer Vision and Medical Imaging is out. A big thank you to authors and my co-editors Adrian, Iasonas, Ying Nian and Alan. 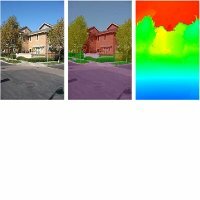 (2015-02) Call for Participation for our CVPR Workshop on Semantics for Visual Reconstruction, Localization and Mapping has been released. (2015-02) Slides from my MLSS 2015 tutorial are now online. (2015-02) A Call for Workshop Proposals for the 28th Australasian Joint Conference on AI, 2015 is now out. (2015-01) We have a paper accepted to ISBI 2015. Congratulations to Aisha. (2014-12) We are organising a Robotic Vision Summer School (RVSS 2015) for 23-27 March 2015. (2014-11) We have two papers accepted to WACV 2015. Congratulations to Aisha and Buyu. 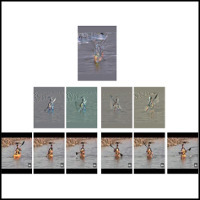 (2014-10) Our CACM paper Scene Understanding by Labeling Pixels has been published with a video by Tom Geller. 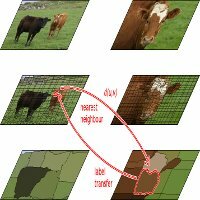 (2014-10) I will be giving a tutorial on structured prediction for computer vision at MLSS 2015, Sydney on 19 February. 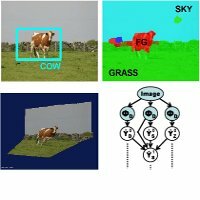 (2014-09) Release 1.8 of Darwin, our software framework for machine learning and computer vision, is now available. (2014-09) We have a paper accepted to ACCV 2014. Congratulations to Hajar. 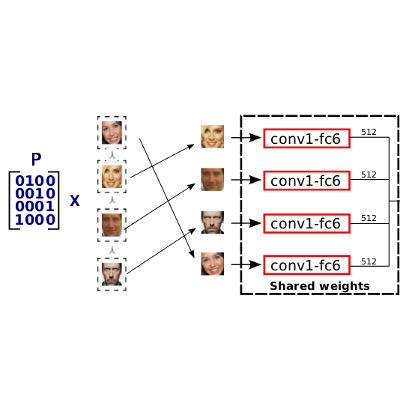 (2014-08) Code for our ECCV 2014 paper is now available. (2014-07) CECS Poster Day will take place 2-4pm on Friday, 25 July 2014. A sneak peek of the posters is here. 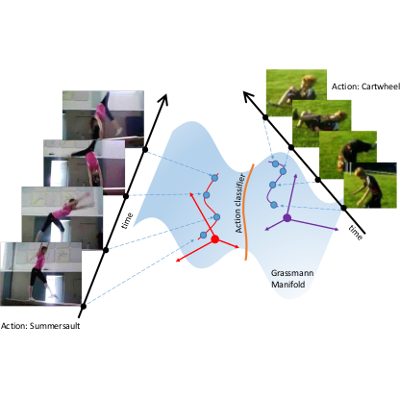 (2014-06) We have a paper accepted to ECCV 2014. Congratulations to Jiecheng, Yuhang and Xuming. (2014-06) MLSS 2014 Beijing will be held 15-21 June. We have over 300 attendees. 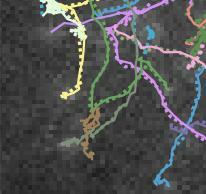 (2014-06) The schedule for our CVPR 2014 tutorial is now available. (2014-04) The website for the Robotic Vision Centre of Excellence has been launched. 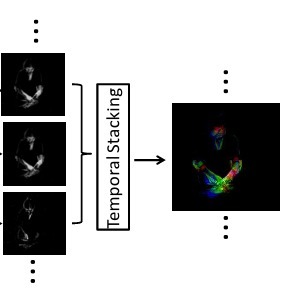 (2014-03) We have a paper accepted to CVPR 2014. Congratulations to Xuming He. (2014-02) We are organizing a camp for CECS PhD students at Kioloa on 12-14 March 2014. Register here. (2014-02) We have a paper accepted to WACV 2014. 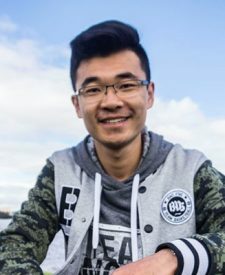 Congratulations to Buyu Liu. (2014-01) We are organizing a Machine Learning Summer School (MLSS) in Beijing to be co-located with ICML in June. Applications are now open. 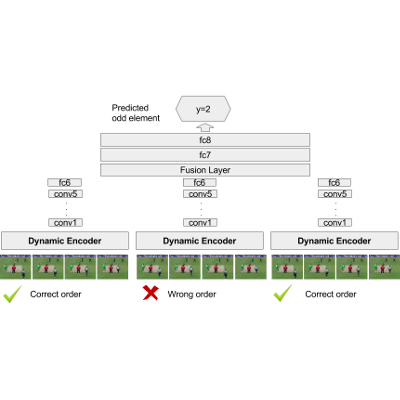 (2014-01) Release 1.7 of Darwin, our software framework for machine learning and computer vision, is now available. 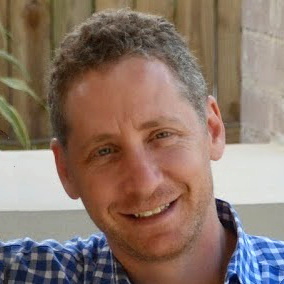 (2013-12) Our ARC Centre of Excellence for Robotic Vision directed by Prof Peter Corke has been funded. Congratulations to all PIs and CIs. (2013-12) I will giving a half-day tutorial at CVPR 2014 with Nikos Paragios, Nikos Komodakis, and Dhruv Batra. 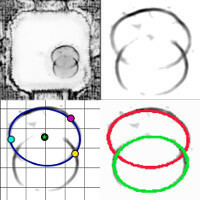 (2013-11) I have joined the editorial board of Computer Vision and Image Understanding (CVIU). Consider submitting a paper. (2013-10) We have released a video showing how to install Darwin on Ubuntu. 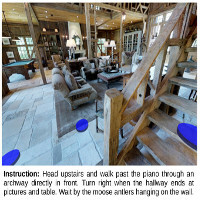 (2013-10) I will be giving a talk at Graphical Models for Scene Understanding: Challenges and Perspectives, ICCV 2013. 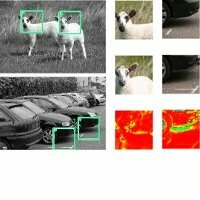 (2013-08) Release 1.6.1 of Darwin, our software framework for machine learning and computer vision, is now available. 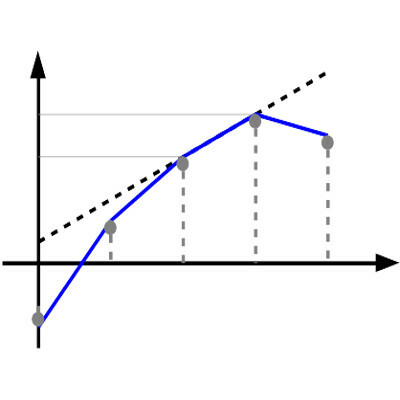 (2013-06) Our ICCV 2013 workshop on inference for probabilistic graphical models has been accepted. 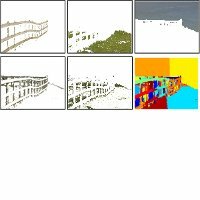 (2013-06) Release 1.6 of Darwin, our software framework for machine learning and computer vision, is now available. (2013-05) I will be visiting Stanford University from 1 June to 15 August. (2013-05) I will be teaching COMP4680/COMP8650 (Semester 2, 2013) with Justin Domke and Xinhua Zhang. (2013-04) We have launched the beta version of our scene understanding website. (2013-04) We have a paper accepted to IJCAI 2013. Congratulations to Hajar Sadeghi Sokeh. 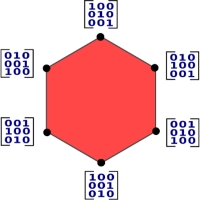 (2013-04) Code for Hamid Rezatofighi's ISBI 2013 paper has now been posted. Download here. (2013-03) We are running an Angry Birds competition at IJCAI 2013. See this link for competition details and code. (2013-02) We have a paper accepted to IPMI 2013. Congratulations to Hamid Rezatofighi. 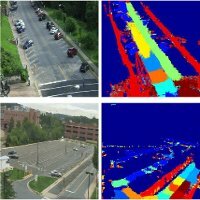 (2013-02) Release 1.5 of Darwin, our software framework for machine learning and computer vision, is now available. (2013-02) I was recently interviewed on a local radio science show. You can listen to the podcast here. (2013-01) We have a paper accepted to ISBI 2013. Congratulations to Hamid Rezatofighi. 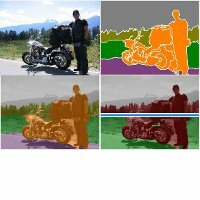 (2012-12) Release 1.4 of Darwin, our software framework for machine learning and computer vision, is now available. (2012-10) We have a paper accepted to ICVNZ 2012. Congratulations to Hajar Sadeghi Sokeh. 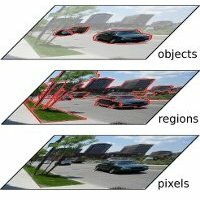 (2012-10) Release 1.3.2 of Darwin, our software framework for machine learning and computer vision, is now available. 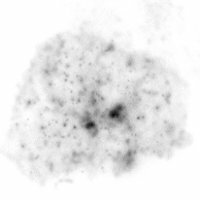 (2012-09) We have a paper accepted to ACCV 2012. Congratulations to Di Yang. (2012-08) A nice article by Sarina Talip about some of my work appeared in the Spring 2012 edition of the ANU Reporter magazine. 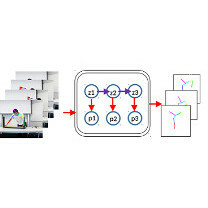 (2012-07) We have 2 papers accepted to ECCV 2012. Congratulations to Kyoungup Park and Yuhang Zhang. 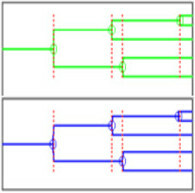 (2012-06) Seyed Hamid Rezatofighi's paper on multiple target tracking in TIRFM images has been accepted to MICCAI 2012. (2012-05) I am honored to have been named a Microsoft Research Faculty Fellow for 2012. 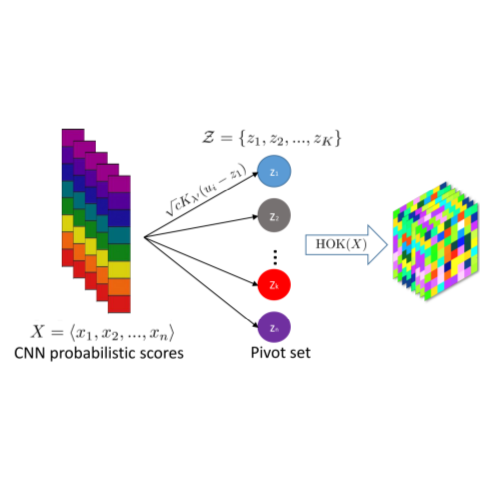 I have broad interests in computer and robotic vision, machine learning, models for structured prediction, and optimization. 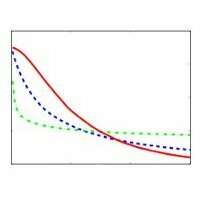 My main research focus is on the application of machine learning techniques (specifically, conditional Markov random fields and, more recently, deep learning) to geometric, semantic and dynamic scene understanding. I am also interested in seeing research translate into practical outcomes. To this end, I collaborate with industry and have previously been involved in founding start-up companies. Summer/visiting scholars: Each year ANU offers summer scholarships for undergraduate research projects. Note that these occur during the Australian summer (December to January). I do not supervise visiting students (undergraduate or PhD) during the northern hemisphere summer (June to August) or any time other than over the Australian summer. Read the following for more details and follow the application process therein: Summer research scholar program. I generally do not supervise visiting undergraduate students outside of the summer scholars program. Potential visiting PhD students include a description of your work, a list of publications or link to your Google Scholar page, and how your trip will be funded. 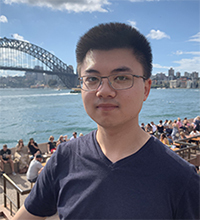 Existing ANU undergraduates and masters: I have numerous projects ideas in computer vision, machine learning and deep learning but I am equally happy for you to propose your own project so long as it aligns with my research interests. Email me about setting up an independent study contract. Include background information (e.g., courses taken and academic transcript). Your project proposal should include, as a minimum, (i) the research question, (ii) its relationship to previous work, (iii) list of software and/or datasets you will use, and (iv) a timeline and milestones. Even if I give you the project idea I will still expect you to write a project proposal. Many good research projects begin by extending some recent work in some small way (plan for about 3 months) and then move on to something more ambitious. If I do end up supervising a project I will expect you to work consistently on it during the semester/year and not just before meetings and deliverables. I will also expect you to attend my regular research group meetings. 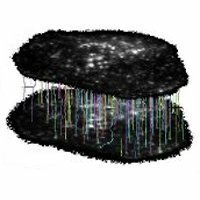 Potential PhD students: You must have good mathematical and computational skills, preferably with prior experience in machine learning and/or computer vision. 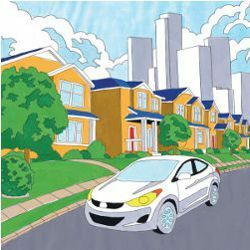 You should have native or near-native English proficiency, both written and oral. Strong programming skills in Matlab, Python and/or C++, and be familiarity with software revision control (e.g., GitHub) is desireable. When contacting me include a copy of your academic transcript and a proposed research topic (see above for what I expect to see in the proposal). You must contact me at least three months before the admissions deadline. The following information is provided by the department regarding the PhD admissions process: CECS Graduate Research. Existing ANU PhD students: Email me to set up a meeting. Include information about youself and your current project. All applications for PhD or Masters should come through the ANU applications system. Please check the above links for scholarship deadlines. Dylan Campbell, Lars Petersson, Laurent Kneip, Hongdong Li and Stephen Gould. Rodrigo Santa Cruz, Basura Fernando, Anoop Cherian and Stephen Gould. To appear in IEEE Transactions on Pattern Analysis and Machine Intelligence (PAMI), 2018. Peter Anderson, Stephen Gould and Mark Johnson. Anoop Cherian and Stephen Gould. In International Journal of Computer Vision (IJCV), 2018. Anoop Cherian, Suvrit Sra, Stephen Gould and Richard Hartley. Peter Anderson, Xiaodong He, Chris Buehler, Damien Teney, Mark Johnson, Stephen Gould and Lei Zhang. Peter Anderson, Qi Wu, Damien Teney, Jake Bruce, Mark Johnson, Niko Sünderhauf, Ian Reid, Stephen Gould and Anton van den Hengel. Jue Wang, Anoop Cherian, Fatih Porikli and Stephen Gould. In IEEE Winter Conference on Applications of Computer Vision (WACV), 2018. Sam Toyer, Anoop Cherian, Tengda (Mike) Han and Stephen Gould. In International Conference on Digital Image Computing: Techniques and Applications (DICTA), 2017. Peter Anderson, Basura Fernando, Mark Johnson and Stephen Gould. In Conference on Empirical Methods in Natural Language Processing (EMNLP), 2017. Fatemeh Sadat Saleh, Mohammad Sadegh Aliakbarian, Mathieu Salzmann, Lars Petersson, Jose M. Alvarez and Stephen Gould. In IEEE Transactions on Pattern Analysis and Machine Intelligence (PAMI), 2017. Basura Fernando and Stephen Gould. In International Journal of Computer Vision (IJCV), 2017. Anoop Cherian, Basura Fernando, Mehrtash Harandi and Stephen Gould. 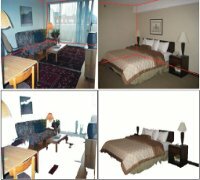 In IEEE Conference on Computer Vision and Pattern Recognition (CVPR), 2017. Basura Fernando, Hakan Bilen, Efstratios Gavves and Stephen Gould. Anoop Cherian, Piotr Koniusz and Stephen Gould. In IEEE Winter Conference on Applications of Computer Vision (WACV), 2017. Jian Guo and Stephen Gould. In Digital Image Computing: Techniques and Applications (DICTA), 2016. Fatemehsadat Saleh, Mohammad Sadegh Ali Akbarian, Mathieu Salzmann, Lars Petersson, Stephen Gould and Jose M. Alvarez. Stephen Gould, Basura Fernando, Anoop Cherian, Peter Anderson, Rodrigo Santa Cruz and Edison Guo. Technical Report (available online arXiv:1607.05447), 2016. Aisha Khan, Stephen Gould and Mathieu Salzmann. In Workshop on Bioimage Computing (BIC) at ECCV, 2016. In Proceedings of the International Conference on Machine Learning (ICML), 2016. Basura Fernando, Peter Anderson, Marcus Hutter and Stephen Gould. Hakan Bilen, Basura Fernando, Stratis Gavves, Andrea Vedaldi and Stephen Gould. In IEEE International Symposium on Biomedical Imaging (ISBI), 2016. Trung T. Pham, Ian Reid, Yasir Latif and Stephen Gould. In IEEE International Conference on Computer Vision (ICCV), 2015. In 6th International Workshop on Machine Learning in Medical Imaging (MLMI) at MICCAI, 2015. In IEEE International Symposium on Biomedical Imaging (ISBI), 2015. Seyed Hamid Rezatofighi, Stephen Gould, Ba-Tuong Vo, Ba-Ngu Vo, Katarina Mele and Richard Hartley. In IEEE Transactions on Medical Imaging (TMI), 2015. Buyu Liu, Stephen Gould and Xuming He. In IEEE Winter Conference on Applications of Computer Vision (WACV), 2015. In IEEE Transactions on Pattern Analysis and Machine Intelligence (PAMI), 2015. Stephen Gould and Xuming He. In Communications of the ACM (CACM), 2014. Hajar Sadeghi Sokeh, Stephen Gould and Jochen Renz. In Proceedings of the Asian Conference on Computer Vision (ACCV), 2014. Stephen Gould, Jiecheng Zhao, Xuming He and Yuhang Zhang. In Proceedings of the European Conference on Computer Vision (ECCV), 2014. Xuming He and Stephen Gould. Buyu Liu, Xuming He and Stephen Gould. Farshid Moussavi, Wang Yu, Peter Lorenzen, Jonathan Oakley, Daniel Russakoff and Stephen Gould. In IEEE Transactions on Medical Imaging (TMI), 2014. A shorter version of this paper appeared in IEEE International Symposium on Biomedical Imaging (ISBI), 2014. In Proceedings of the Twenty Third International Joint Conference on Artificial Intelligence (IJCAI), 2013. Huayan Wang, Stephen Gould and Daphne Koller. In Communications of the ACM, Research Highlights, 2013. 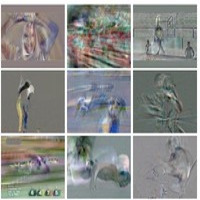 An earlier version of this work appeared in Proceedings of the European Conference on Computer Vision (ECCV), 2010. Seyed Hamid Rezatofighi, Stephen Gould, Ba-Ngu Vo, Katarina Mele, William E. Hughes and Richard Hartley. In International Conference on Information Processing in Medical Imaging (IPMI), 2013. Seyed Hamid Rezatofighi, William T. E. Pitkeathly, Stephen Gould, Richard Hartley, Katarina Mele, William E. Hughes and James G. Burchfield. 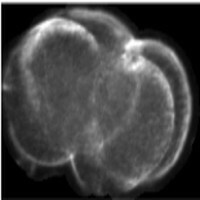 In Proceedings of the International Symposium on Biomedical Imaging (ISBI), 2013. 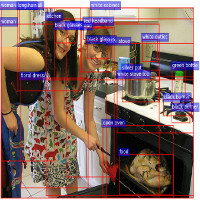 In Journal of Machine Learning Research (JMLR), 2012. Hajar Sadeghi Sokeh and Stephen Gould. In Proceedings of the International Conference on Image and Vision Computing New Zealand (IVCNZ), 2012. Di Yang, Stephen Gould and Marcus Hutter. Stephen Gould and Yuhang Zhang. In Proceedings of the European Conference on Computer Vision (ECCV), 2012. Kyoungup Park and Stephen Gould. Seyed Hamid Rezatofighi, Stephen Gould, Richard Hartley, Katarina Mele and William E. Hughes. 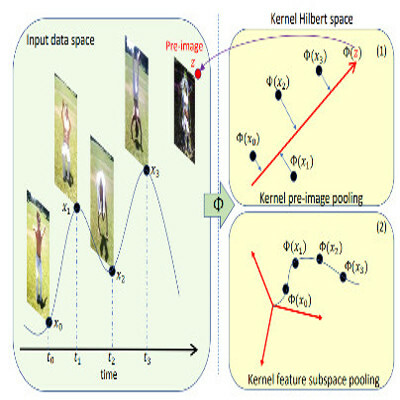 In Proceedings of the International Conference on Medical Image Computing and Computer Assisted Intervention (MICCAI), 2012. Paul Rivera and Stephen Gould. 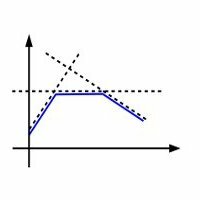 In Digital Image Computing: Techniques and Applications (DICTA), 2011. 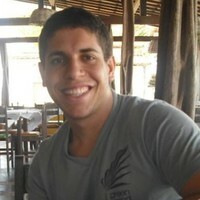 In Proceedings of the International Conference on Machine Learning (ICML), 2011. Ben Packer, Stephen Gould and Daphne Koller. In Proceedings of the European Conference on Computer Vision (ECCV), 2010. Ph.D. Thesis, Stanford University, June 2010. Vladimir Jojic, Stephen Gould and Daphne Koller. In Proceedings of the International Conference on Machine Learning (ICML), 2010. Beyang Liu, Stephen Gould and Daphne Koller. Stephen Gould, Tianshi Gao and Daphne Koller. In Advances in Neural Information Processing Systems (NeurIPS), 2009. Stephen Gould, Fernando Amat and Daphne Koller. In IEEE Conference on Computer Vision and Pattern Recognition (CVPR), 2009. Morgan Quigley, Siddharth Batra, Stephen Gould, Ellen Klingbeil, Quoc V. Le, Ashley Wellman and Andrew Y. Ng. In IEEE International Conference on Robotics and Automation (ICRA), 2009. Geremy Heitz, Stephen Gould, Ashutosh Saxena and Daphne Koller. In Advances in Neural Information Processing Systems (NeurIPS), 2008. Gal Elidan and Stephen Gould. A longer version of this paper also appears in Journal of Machine Learning Research (JMLR), 2008. Stephen Gould, Paul Baumstarck, Morgan Quigley, Andrew Y. Ng and Daphne Koller. In ECCV workshop on Multi-camera and Multi-modal Sensor Fusion Algorithms and Applications (M2SFA2), 2008. John Duchi, Stephen Gould and Daphne Koller. In Proceedings of the Twenty-Fourth Conference on Uncertainty in Artificial Intelligence (UAI), 2008. Stephen Gould, Jim Rodgers, David Cohen, Gal Elidan and Daphne Koller. 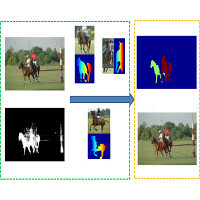 In International Journal of Computer Vision (IJCV), 2008. Andrew Y. Ng, Stephen Gould, Morgan Quigley, Ashutosh Saxena and Eric Berger. In Learning Workshop, Snowbird, 2008. Stephen Gould, Joakim Arfvidsson, Adrian Kaehler, Benjamin Sapp, Marius Meissner, Gary Bradski, Paul Baumstarck, Sukwon Chung and Andrew Y. Ng. In Proceedings of the Twentieth International Joint Conference on Artificial Intelligence (IJCAI), 2007. The following lists some large software libraries that I have developed. For reference implementations of the algorithms described in my work see the links next to the relevant paper in my publications list. 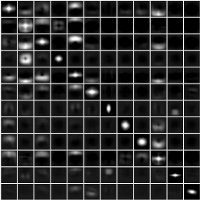 A C++ framework for machine learning and computer vision research. 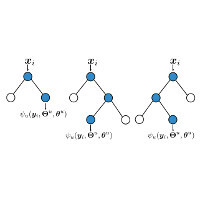 The framework includes a wide range of standard machine learning and graphical models algorithms as well as reference implementations for many of the algorithms described in the publications above. The code is released under the BSD license. If you are interested in contributing to this codebase then please email me. 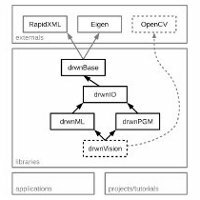 A platform independent C++ toolkit for computer vision research (building on top of OpenCV). 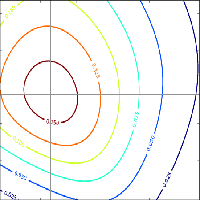 The library also includes many machine learning and probabilistic graphical models algorithms. We have released the code under the BSD license. Developed while I was at Stanford University, this library is no longer supported---much of its functionality, however, is available in the Darwin framework described above. I have regularly served as program committee member or reviewer for the following conferences and journals: CVPR, ECCV, ICCV, ICML, IEEE PAMI, IEEE TIP, IJCV, JMLR, NeurIPS, RSS, UAI and others. Co-organized the second Robotic Vision Summer School (RVSS 2016) with Chuong Nguyen and Sareh Shirazi. Co-organized a workshop on Semantics for Visual Reconstruction, Localization and Mapping at CVPR 2015, with Ian Reid and Silvio Savarese. Organized the inaugural Robotic Vision Summer School (RVSS 2015). 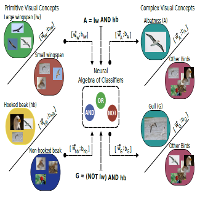 Co-organized a tutorial on Learning and inference in discrete graphical models at CVPR 2014, with Nikos Komodakis, Dhruv Batra and Nikos Paragios. Co-organized the Machine Learning Summer School (MLSS) for Beijing, 2014 with Hang Li and Zhi-Hua Zhou. Co-organized the ICCV 2013 Workshop: Inference for probabilistic graphical models (PGMs) on 2 December 2013, with Qinfeng (Javen) Shi, Chunhua Shen, Jason L. Williams and Tiberio Caetano. Co-organized the Angry Birds AI Competition at IJCAI 2013, with Jochen Renz and XiaoYu (Gary) Ge. Co-organized the Workshop on Inference in Graphical Models with Structured Potentials at CVPR 2011, with Julian McAuley, Tiberio Caetano, Pushmeet Kohli and Pawan Kumar. Invited talk titled “Advances in Visual Perception” given at the Huawei Asia-Pacific Innovation Day, 2016. Simulation of the Monty Hall Problem from my Introduction to AI talk for Girls in ICT Day, 2014. Also Eliza. Technical workshop for computer science PhD students at ANU, 3-4 May, 2012. ANU Workshop on Developing and Debugging Machine Learning Algorithms, September 2011. Tutorial titled “Markov Random Fields for Computer Vision” given at the Machine Learning Summer School (MLSS 2011), 13-17 June 2011, Singapore. Invited talk titled “Probabilistic Models in Holistic Scene Understanding” given at Stanford Computer Science Faculty Luncheon, 2010. Invited talk titled “A Region-based Approach to Scene Understanding” given at The First IEEE Workshop on Visual Place Categorization (VPC), 2009. Invited talk titled “Multi-modal Robotic Vision: Detecting Objects and People” given at Honda Research Institute, April 2008. US 9,710,696. Apparatus, method, and system for image-based human embryo cell classification. US 9,542,591. 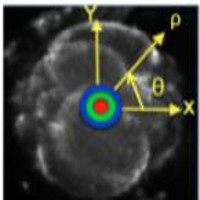 Apparatus, method, and system for automated, non-invasive cell activity tracking. US 9,177,192. Apparatus, method, and system for image-based human embryo cell classification. US 7,725,312. 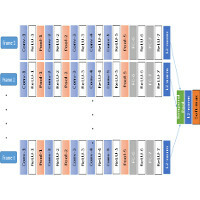 Transcoding method and system between CELP-based speech codes with externally provided status. US 7,411,418. 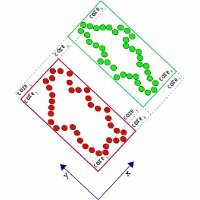 Efficient representation of state transition tables. US 7,301,792. Apparatus and method of ordering state transition rules for memory efficient, programmable, pattern matching finite state machine hardware. US 7,219,319. Apparatus and method for generating state transition rules for memory efficient programmable pattern matching finite state machine hardware. US 7,184,953. 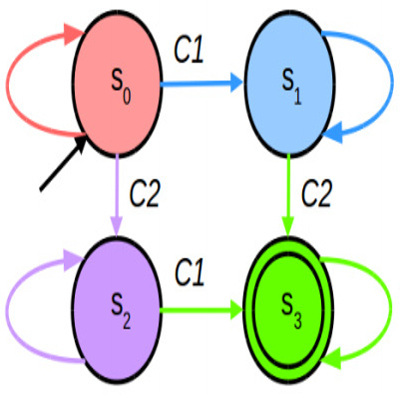 Transcoding method and system between CELP-based speech codes with externally provided status. US 7,180,328. Apparatus and method for large hardware finite state machine with embedded equivalence classes. US 7,082,044. Apparatus and method for memory efficient, programmable, pattern matching finite state machine hardware. US 6,829,579. 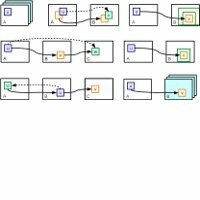 Transcoding method and system between CELP-based speech codes. AU 2004222859. 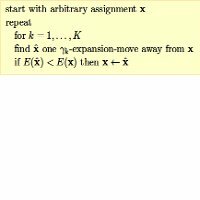 A method for developing algorithms. Copyright © 2010--2018, Stephen Gould.